The Soldiers` Memorial Hall was erected in 1935 to commemorate those who served in World War One. 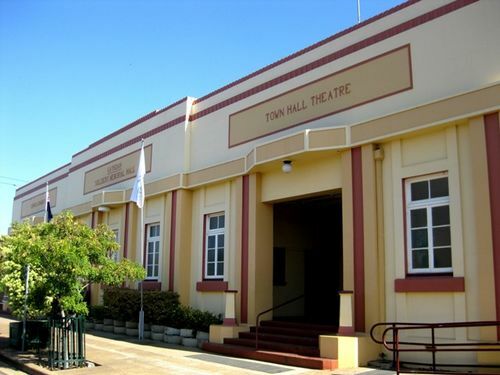 The Soldiers Memorial Hall, erected in 1935 ,was presented to the Gayndah sub branch of the R.S.S.I.L.A. by the Gayndah Shire Council on the evening of Armistice Day 1938. The Chairman of the Council, Councillor H. E. M. Leggatt made the presentation and Mr Croft on behalf of the Diggers accepted the gift. One of the oldest returned soldiers, Mr Partride, unveiled the tablet. A reunion of the Diggers followed the ceremony. The Courier-Mail, 15th November 1938.